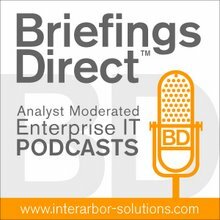 This latest BriefingsDirect podcast, from the recent 2013 Ariba LIVE Conference in Washington, D.C., explores the rapid adoption of better means for companies to conduct so-called spot buying -- a more ad-hoc and agile, yet managed, approach to buying products and services. We'll examine new spot-buying research from The Hackett Group on the latest and greatest around agile procurement of low-volume purchases, and we'll learn how two companies are benefiting from making spot buying a new competency. Gardner: How did we get to the need for tactical sourcing, and how did we actually begin dividing tactical and strategic sourcing at all? Albertson: When you look at enterprises out there, our Key Issues Study for 2013 identified the top priorities area as profitability. So companies are continuing to focus on the profitability objective. On the other side of that equation, you have this transactional stuff. Someone puts through a purchase order, where procurement has very little involvement. The requisitioners make the decision on what to buy and they go out and get pricing. Purchasing’s role is to issue a purchase order, and there is no kind of category management or expense management practice in place. That’s what caused this phenomenon around spot buy, or tactical buy, taking this middle ground of spend, which our research shows is about 43 percent of spend on average. More importantly, more than sometimes half the transactional activity comes through it. So it's putting in place a better model to support that type of spend, so your category managers can go off and do what you hired them to do. Gardner: And that 43 percent, does that cut across large companies as well as smaller ones? When we think about the reasons for doing spot buying, profitability was one reason, but customer service was the other, and customer service translates into cycle time. That’s usually the issue with this type of spend. You can’t afford to have a category manager take it through a strategic sourcing process, which can take anywhere from six to 30 weeks. In terms of efficiency, we're like many organizations, but as a start-up, in particular, we're resource constrained. I'm also the procurement manager, as it turns out. It’s not in my job title, but we needed to find something fast. We were launching a product and we needed something to support it. I think I "spot buyed" Ariba in order to spot buy. I tested Alibaba, and to be fair, it was not a very clean approach. I got a lot of messy inbound input and responses when I asked for what I thought was a relatively simple request. Gardner: Kurt Albertson, when you listen to both a buyer and a seller, it seems to me that there is a huge untapped potential for organizing and managing spot buying in the market. Gardner: Are all the procurement providers, service providers jumping on this? Is Ariba in front of the game in any way? Albertson: There are some challenges with this process, and if you look at Ariba, they evolved from the front end of the sourcing process, built out capabilities to support that, and have a lot of maturity in that space. You're going to find companies coming at it from both ends. The smaller, less mature organizations from a procurement perspective are going to come at it from a primary buying and sourcing channel, whereas for the larger organizations, the bigger bang for the buck for them is going after and getting control over the strategic spend. Gardner: It seems that the cloud model really suits this spot-buying and tactical-buying approach very well. You log on, the network can grow rapidly, and buyers and sellers can participate in this networked economy. Is this something that wouldn’t have happened 5 or 10 years ago, when we only looked at on-premise systems? Is the cloud a factor in why spot buying works now? Albertson: Obviously, one of the drivers of this is how quickly can you get up to speed and start leveraging the technology and enabling the spot-buy tactical sourcing capabilities that you're building.